A police Infrared video shows the man crawling in a ditch to get away from officers after a crash involving a stolen car. Officers in North Florida were able to capture a man for his alleged role in a crime – after what could be called a questionable attempt by the suspect to get away. The Volusia County Sheriff’s Office posted video on their Facebook page from the department’s helicopter as it was helping the Ormond Beach Police Department in their search for a man who allegedly stole a vehicle following a fight at a local store. 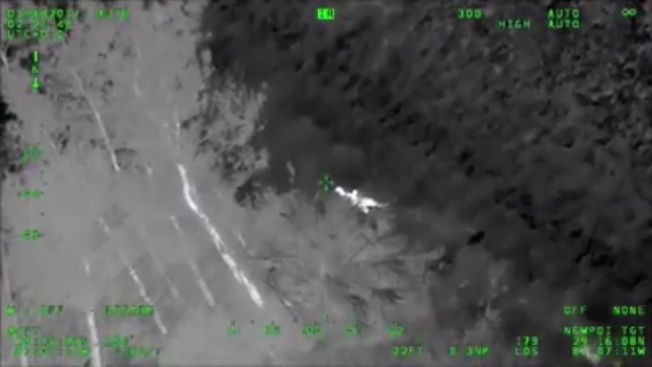 In the video, deputies in the helicopter can be heard talking with officers on the ground, eventually finding the man using Infrared technology. The man can be seen crawling in a muddy ditch on the side of a road before eventually being caught.